Super Mario Run has been grabbing a lot of attention over the past few weeks, as this is the first time Nintendo brought its mustachioed mascot to mobile markets. While the game has admittedly been bringing in mixed reception—how could we forget that stock drop?—it's nonetheless been a popular app downloaded by millions of... iOS users. Yes, just iOS users so far, but it seems that could change soon. Nintendo has said in the past that it would be bringing the game to Android in due time, and while there's still no specifics being given on this front, the game has just gone up for pre-registration on Google Play. Bear in mind that it took about a month and a half between its pre-registration and launch on iOS, but maybe we'll hear details at or around the upcoming Nintendo Switch event in mid-January. You can pre-register here. What do you think? Will you get this for Android? Do you think it was wise for Nintendo to release the game at different times for iOS and Android? Drop us a comment in the section below. Nice, I've tried it on other people's devices but now I can really play it and I can't wait! Done! Have zero interest in playing games on mobile, never bought a game for my phone in my life... but I'll be buying this. Hopefully Nintendo gives us more information soon, and not on Jan. 12. I'll be buying this for sure. Still think Nintendo shot themselves in the foot by staggering the releases, though; Android is the bigger of the two ecosystems, and there could've been way more headlines upfront if it came to both platforms at once. @MitchVogel More people own Android phones and tablets, yes. But statistics continue to show that Apple users spend waaay more money on apps and micro transactions. I'm guessing because many Android users have low end/budget/basic devices and either can't afford or don't use apps. I say this as a high end Android user mind you. Personally can't stand Apple phones. I'd also be willing to bet that Apple paid Nintendo for that window of exclusivity. I've heard it's not selling too well on iOS. Priced too high for the mobile market. Downloaded 40 million times and sold over a million copies. Not what Nintendo would be hoping for I would imagine. I'll pay the €10 on Android though . I preregistered. However, I'm not so hyped for this as I was at the iPhone release since a lot of people I know already played this on iPhone, and eventually stopped playing, so I can't enjoy whatever the multiplayer is with them now. Just registered! I'm very surprised to see a pre-register option for this game so soon on Android devices! Happy to see the wait won't be much longer. I'll probably download it just to try it out but it doesn't look very interesting and I'm definitely not paying €10. Will it available for Indonesian user ? Not too hyped actually, but I kinda wanted to try it. Happy for Android users. Ignore the complaints (mostly from people not wanting the spring for the whole game). It's a lot of fun trying to beat stages, then perfecting them (by collecting the colored coins--3 types mind you), winning various toads in Toad Rally, and then building and expanding your kingdom. @MitchVogel I've thought for a while that it will come to Android in February ,just in time for the Switch launch.If the "pre-register" to "available" time frame on iOS is any indication it looks like that's when it'll be coming.With a far bigger market to promote to and Switch launching right after it could work out really well for them.The game gets back in the news again,Nintendo get their exclusive fee from Apple and it is then used again to help promote their new console. @readyletsgo I had an update that said it made Nintendo $14m in 3 days, so that's well over 1m sales... Will know for sure in their next qrt report. As annoying as the staggered release is, I think it was probably for the best that they used Apple's press conference to advertise it. A lot more people will blindly buy from Apple than they will from Nintendo. Still, I'm glad I can finally get my hands on it. @Cathousemaster that's about 1.4 million sales.give or take 100,000. See how it goes but I think it was priced way too high for an app store. Should have been 5 not 10. Or free with microtransactions. That's how money is made with apps. I like the idea of having a one-off price, but I think they should have had a charge per level microtransaction model as well as an option that works out more expensive (as they all do anyway). If you're going to try to infiltrate an entrenched market with a new practice, you really need to show how the new model is better for consumers, rather than just tell them. They could even have taken off the amount paid per level from the full price if you choose to take the one-off fee route after buying a couple of levels. @SuperCesco Where does it give required specs on this? Or is registration blocked of your phone won't run it? Cant wait to play it on my windows phone......which mean never. Done! Wasn't expecting it so soon. But I'm ready! This confirms to me that launching it first on IOS was a partnership with Apple. And that's fine, Apple gave the game a lot of promotion on tha App Store and the launch became an event. Now there will be new headlines with the Android release, though they will certainly be less and I'm not sure Android users will be willing to pay $10. I will certainly do it. I'm in. Definitely can't wait to play it on my Android. I cannot wait for it to come to Android. I bought an iPod touch in order to play the game over the past few weeks and I have really enjoyed it. I will double drop. I guess Ive already spend £185 just to play it over Christmas, so another £8 won't hurt. @Anti-Matter The game is available on iOS in Indonesia. An official Android release in Indonesia is possible. Yes! Perhaps the complaints can stop now. @Dangerous25 LOL. And this, folks, is why Nintendo will be going mobile sooner than later. Basically all the Nintendo fans kicking and screaming about playing games on mobile will eventually just start buying their precious Nintendo branded games.... on their phones. So... When can I get it on Wii U? I'm not going to pre-register, but I will keep my eyes open for when it's released. Not like they'll run out of digital copies or something. I enjoy playing it on my old iPhone 5, but I'll enjoy it even more on my S7 edge since that's my main phone. It's also what hold me back from paying for the full version. @Yhdekskymmenen My Blu R1 HD has 2GB of RAM and I was able to preregister. Maybe it's something else. It's a cool app that Nintendo could just throw in and take out later so nope I ain't buying it not on iOS, not on Android especially when I already had hundreds of versions of Super Mario games on almost every videogame devices known to man. @gatorboi352 I'm doing it to support Nintendo, if I thought for one second it'd result in the end of their dedicated hardware business I wouldn't touch it with a bargepole. I've been a Nintendo fan for decades, I currently love and enjoy my Wii U, New Nintendo 3DS, NES Mini and I'd imagine I'll get my money's worth out of Super Mario Run. I trust Nintendo, far from perfect and some calamitous cockups recently, but I trust them and I'll support them. Get lost from my sight if you keep replying me with Negative trash comments !!! 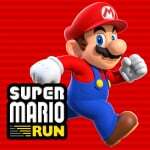 I have checked Google Apps Store, it still guide Apps of Super Mario Run. Well, maybe I should wait until Nintendo give an official date. Well, another 10€ saved for Switch games I guess, lol! @Dangerous25 but you're making my point exactly. 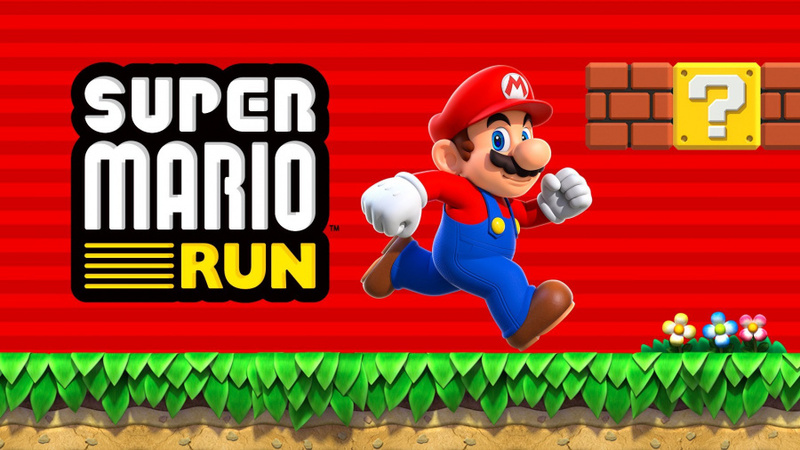 Nintendo fans up until Super Mario Run swore up and down they'd never game on mobile and would be done with them if they did pursued the mobile market. So now they did, and the same fans are now "only buying Nintendo games" on mobile as to continue to support them. Nintendo knows this, and is not afraid to leave their dedicated hardware behind as profits from mobile soon outgrow anything they were doing previously. @gatorboi352 you're generalising, I've never swore I'd never game on mobile, Nintendo or not. Prior to Super Mario Run I've had no interest, sure, but I like Nintendo and I like Mario, so this has piqued my interest. Am I about to pack away my dedicated Nintendo platforms so I can use my finger to jab a screen? No. If that's what it comes to then I'm probably done with gaming in general, but I personally don't see that happening. Better than crushing candy or playing Scrabble for a time killer so I'm definitely pumped. Already pre registered and I can't wait to play it on my Google Pixel. It let me register, so I suppose that means my phone is compatible? I didn't see any notification that it wasn't compatible so I guess I'm good, right? @Kafei2006 what kind of phone do you have? It does have to be a certain spec to run it. Am I right? @bubby444 I've got a Wiko WAX, which runs on an NVidia Tegra 4i. It has only 1GB of RAM but considering it runs on my iPad Mini which has only 512MB of RAM, I don't think RAM is the issue, it might be more to do with what kind of CPU/GPU your phone has. I've been playing it on my iPod Touch... And it's laggy as heck. Can't wait for the Android version. @Kafei2006 Oh, you should have no problem. Apple market is already dried up. Gotta get to the Android one asap before the game is totally forgotten. @readyletsgo yeah but those games die off. Nintendo don't want to make millions from MTs, they want to use it to promote Nintendo and their consoles. I wouldn't be surprised for a similar looking Mario game to be bundled with the Switch. @Clownshoes A notification to tell you as soon as a game is out. Handy if you don't want to have to find out on news sites and want to get it as quickly as you can. Decisions and prep work for this kind of release doesn't happen as a snap decision after less than two weeks. A likely scenario is that the Android version has existed this whole time, but Apple offered Nintendo a full week of app-store headlining, against the game being iOS exclusive for a full month. The game should have been released on both droid and apple simultaneously. @Pod I'm sure Apple had some length of exclusivity, but there could be clause where if it doesn't hit X sales by X date, then they android version can be released Y much sooner. And I'm sure Nintendo is reevaluating things after SMR didn't meet expectations. Well, that's assume they evaluate anything anymore. THey clealry didn't care too much about the money lost from not bothering hit the "make more" button on the NES Mini machines. Stop defending NIntendo blindly, unless they are paying you. Then I won't stop you. Wait until they do something smart to praise them. I don't know where you would have gotten the information that Super Mario Run didn't meet expectations. I don't think the common man is privy to those projections and numbers. And they can't just pull the big "make more" lever on NES Mini within a few weeks of release either. Those things have to be manufactured by the millions to sell at such a low price, so they really need to be sure they can sell the full amount before they order them from China. They did the smart thing by NOT rushing to meet demand on that thing this Christmas. I dont do mobile gaming but I'll wait till this is out n give the free trial ago. @Pod Clearly did not make investors expectations. Nintendo was told for more than a month that there was high demand for NES Mini. They didn't pay attention to social media at all. I had people asking me how to get those more than talk about WiiU/3DS. They just didn't care to pay attention. It was a terrible idea not to make more NES Minis before Christmas. That was a great price for a Christmas gift. Now people are tapped for cash. You will see them on store shelves with ease by the end of January. Maybe even on sale. Investors expect ridiculous things. Some probably just expected a brief share price spike so the could sell. This all has little to do with meeting Nintendo's own projections and expectations. And I will reiterate that Nintendo can't just "make more" NES minis than they have already ordered, just because demand seems high. They made a lot, they sold them all. Sounds pretty smart to me. People are not "tapped for cash" in case of items costing $60, but Nintendo might not make more anyway. So we'll see if you're right about the devices being on sale in a month. @Pod They said in November they sold c200k NES Minis. They could have easily sold double if not triple that. ANd they probably cost about $15 to make. That's a TON of cash they left on the table. They still can't order them, produce them, ship them and sell them in less than a month, if it wasn't already part of the plan to do so. If that's the amount they ordered, chances are the manufacturing plant in question was scheduled to do something else afterwards. Two hundred thousand does seem like an extremely low number, though.